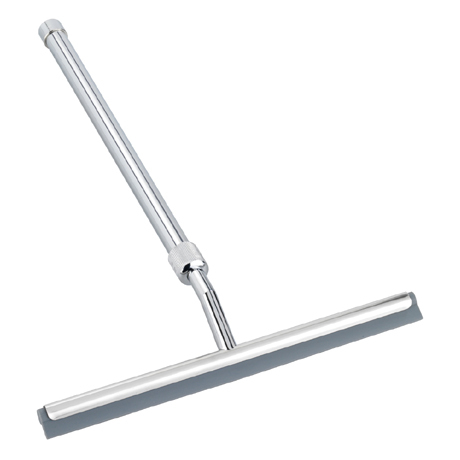 This stylish and functional telescopic bathroom squeegee makes it possible to clean high and difficult to reach areas without problems. The telescopic bathroom wiper is ideal for streak-free cleaning of smooth surfaces such as mirrors, shower cubicles or wall tiles. Manufactured from high-quality, stainless steel and zinc die-cast with a shiny silver finish. Excellent product quick delivery easy to extend. Perfect for my mum who has limited mobility but likes to clean her own bathroom. Perfect just what we were looking for for our new wet room which we had just completed small and compact with extending handle. Very pleased. The item functions exactly as described on the tin.